The U.S. military and federal agencies are coordinating efforts to protect airports and other critical sites from the threat posed by rogue unmanned aircraft systems (UAS). Executives with the Federal Aviation Administration described a multi-pronged approach during a May 3 meeting of the agency’s Drone Advisory Committee (DAC). As part of a senior-level UAS Executive Committee (ExCom), the FAA is helping to develop a counter-UAS “concept of operations” for airports and critical infrastructure that will be reviewed at the committee’s June 9 meeting, said Marke “Hoot” Gibson, the former Air Force two-star general who serves as FAA senior advisor on UAS integration. The so-called conops will be a 15-to-20-page document, he said. The FAA, the Department of Defense (DOD), the Department of Homeland Security (DHS) and NASA have participated on the ExCom since 2009; more recently the committee’s membership has been expanded to include the departments of Commerce, Justice and the Interior, as well as the White House’s Office of Science and Technology Policy and National Security Council, Gibson said. “As security concerns continue to increase, I think this will be a critical group to hold us together on those issues,” he told the DAC. Under section 2206 of the FAA Extension, Safety and Security Act that became law last July, Congress directed the FAA, in consultation with the DOD, DHS and other agencies, to conduct a pilot demonstration program to ensure that drone-detection systems they use to ward off “errant or hostile” unmanned aircraft do not adversely affect airport operations and air traffic services. Congress authorized spending $6 million on the “airspace hazard mitigation” effort over 18 months. The FAA started studying counter-drone technology in early 2016 at Atlantic City International Airport, a demonstration that represented the first drone detection research at a U.S. commercial airport. The effort continued to include testing at John F. Kennedy International Airport with the FBI, the DHS and other participants; at Eglin Air Force Base, Florida, as part of the DOD’s annual “Black Dart” counter-UAS exercise; at Denver International Airport; and most recently at Dallas-Fort Worth International Airport. 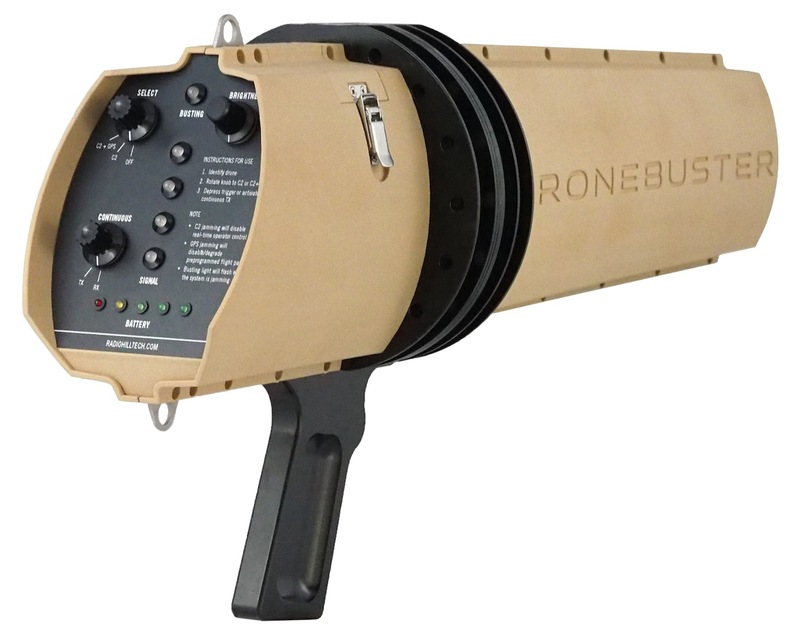 In March, the DHS announced that it had issued a request for information to industry under the Technical Assessment of Counter Unmanned Aerial Systems Technologies in Cities (TACTIC) program to assess counter-UAS technologies in an “operationally relevant” environment. Findings from the two-part demonstration taking part this summer and fall “will be included in an interagency compendium of C-UAS solutions being updated semi-annually for the National Security Council,” the department said. It also plans to share the findings with federal, state and local law enforcement agencies. At the DAC meeting held in Herndon, Virginia, Elizabeth Ray, FAA Air Traffic Organization vice president of mission support services, said drone prohibition zones became effective last week at 133 military sites in the U.S. Meanwhile, the FAA plans to designate 10 to 20 additional no-drone sites in consultation with the DHS and the departments of Energy and the Interior. The Air Force is considering up to 700 such sites, Ray said. Congress authorized the FAA to accept petitions from other agencies to prohibit or restrict drone operations “in close proximity to a fixed-site facility” under Section 2209 of the legislation approved last year. The agency claims authority to do so under an existing federal regulation—14 CFR 99.7 Special Security Instructions—but it will likely conduct a rulemaking process to establish a new regulation, Ray said. Earl Lawrence, director of the FAA’s UAS Integration Office, also referenced the agency’s involvement with the DHS, DOD and the departments of Justice, Energy and the Interior over drone security. Their collaboration will buttress an aviation rulemaking committee (ARC) the FAA plans to assemble this summer to study available and emerging technologies for remote identification and tracking of small drones. “The ID ARC is a direct reflection of our work together in our efforts to help resolve important concerns such as being able to identify UAS in order to protect public safety,” he said.